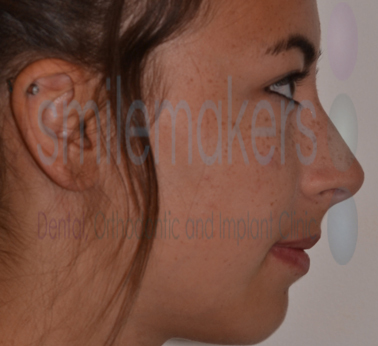 Smilemakers' most popular braces are those of the revolutionary, world-beating Damon system. Damon braces are a modern approach to straightening your teeth. These braces gently and comfortably straighten teeth, usually without requiring extractions. 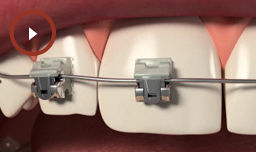 Aesthetically they are a much more discrete option than traditional metal braces. Abbie came to Smilemakers as she was unhappy with the crowding of her front teeth and the fact that her lower teeth were set too far behind behind her upper teeth. The attractiveness of both her smile and facial profile were being affected. 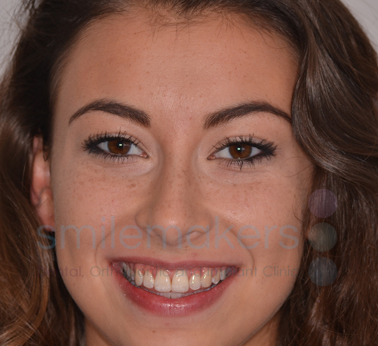 After a full discussion of the available options, Abbie chose to proceed with upper and lower Damon braces. 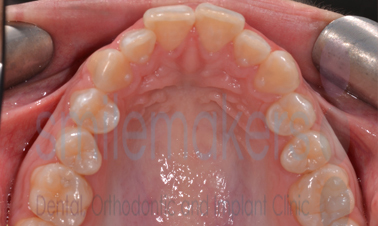 In little over a year, the braces were removed to reveal a dramatically improved smile and profile. 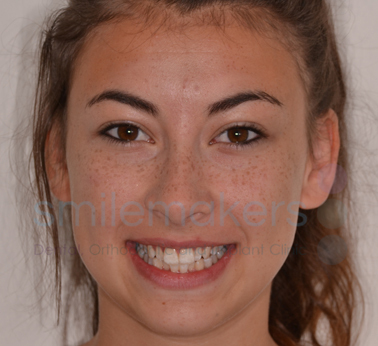 Abbie now enjoys a beautiful, straight, fuller smile, while her bite has, also, greatly improved. What makes Damon Braces special? 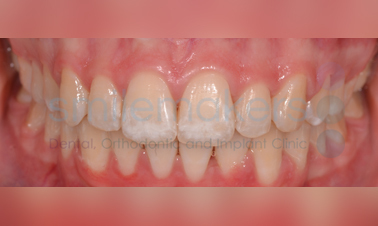 The Damon System is based on a unique treatment philosophy that goes beyond straight teeth. Damon Doctors are trained to take the whole patient into account: the shape of your face, your profile, what you will look like into your 40s, 50s… and beyond. 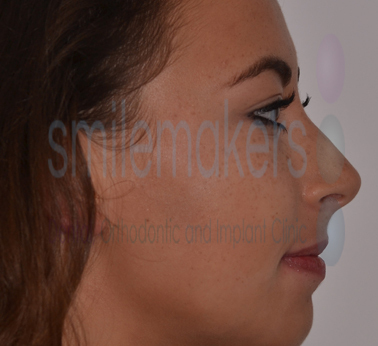 Improved profiles…for a more youthful look at any age! 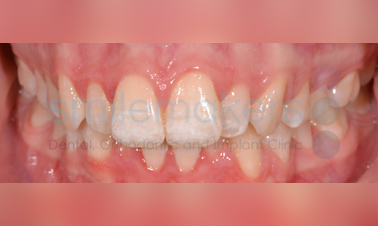 Many patients begin to see these dramatic results in as little as 10 weeks. Shorter treatment time – Damon braces produce results in a much shorter time period compared with conventional braces. Discreet appearance – the fine wires and brackets make the brace much less conspicuous than traditional braces. Extraction of teeth is rarely required. 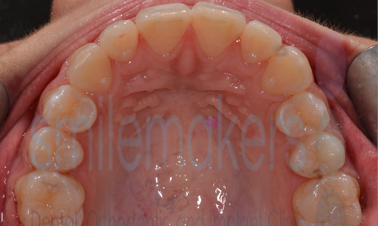 More comfortable treatment experience due to lighter forces on the teeth. Any age group can benefit from this system.